The Torino Padded Sling High Back Dining Chair fuses a blend of Italian art and rich heritage of luxurious sports car seating. 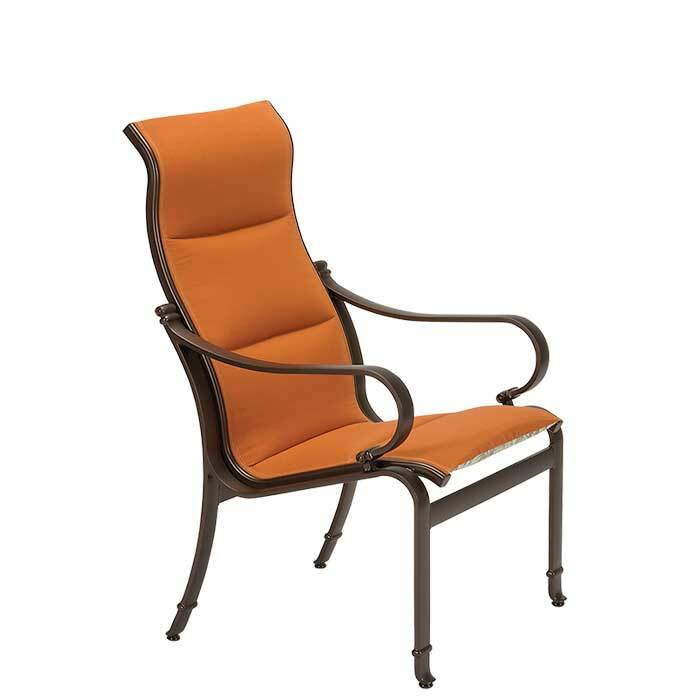 The result is a stylish and graceful high back outdoor dining chair that is meticulously crafted with a soft, yet supportive, pad slung across the seat and back frame with an ergonomically designed high back. To enjoy an exquisite Italian culinary feast in your backyard, gather around the table in the Italian-inspired Torino Padded Sling High Back Dining Chair.